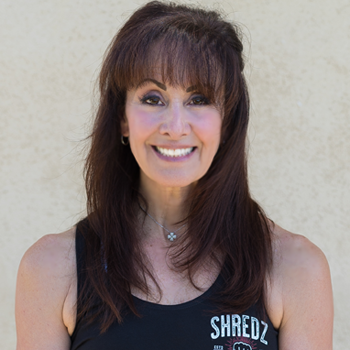 My Focus is on continual life long learning as I work towards enhancing the well being of my clients by empowering them with the skills and support, and guidance,and resources to assist and inspire them on their fitness journey to a healthier life. Training is not just a way to stay in shape. For me it should build a good base to improve the way we live. Bottom line, being fit and working out improves the quality of your life and how you live it. AFAA Personal Trainer & AFAA Group Fitness Instructor. Other certifications include TRX Suspension, TRX Functional, and TRX Group Training. Additional certificates included are Boot Camp, Tabata, Spin, and Indoor cycle Keiser and Schwin and Mad Dog Athletics. Married , my husband is a Fire Captain and 2 kids both in the fitness industry. My other interests include Golf and Tennis, Yoga and Pilates and hiking with my family. The beach is always good time as well.